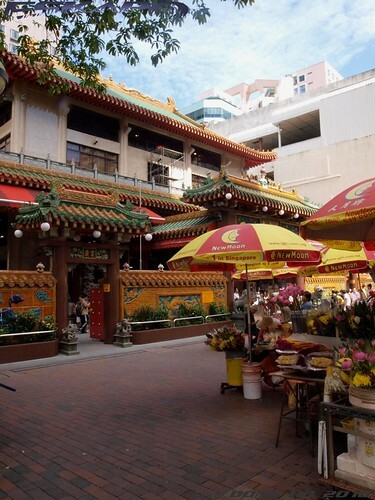 walking around the central district of Singapore is a great activity. a display of a multi-cultural country with the influence of the British occupation gives a tourist a perspective of a modern Asia. with Chinese being the biggest linguistic group followed by Malays and Indians with the rest as minorities. yet i noticed that people of different race and language would go well in and around the city. given a very short period to roam around the city, i had my chance to drop by the nearby Kwan Im Thong Hood Cho temple. a Chinese temple built from a Chinese folklore of a lady named Kuan Yin who devoted her life to counter with the suffering of the people. 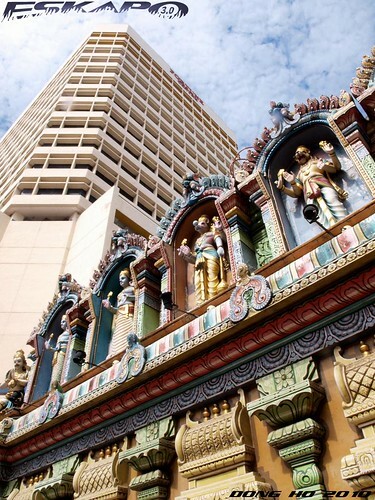 surprisingly, just beside this temple stands a historical Hindu temple, the Sri Khrisnan temple. built in 1959 because of the active Hindu community around the area. a story of the banyan tree leads to the history of this structure. a big festive celebration happens in this area every September to commemorate Hindu's Lord Khrisnan's birthday. what made it more interesting is even the Chinese community would drop by and give respect to the temple. this again shows how diverse this country is. 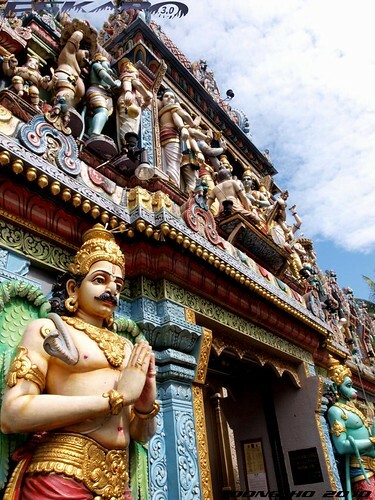 personally, i'm really fascinated by India's culture specifically their artwork as it is greatly shown in this temple. it's actually my first time to see a Hindu temple. 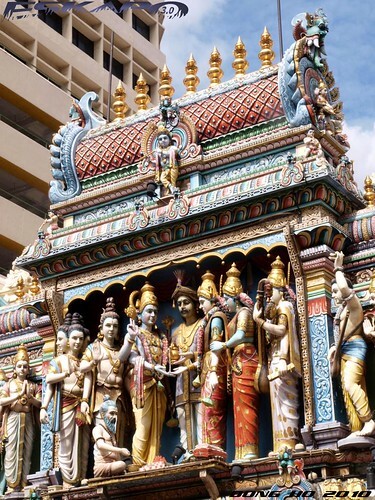 this temple has on it statues of people including the Hindu gods Sri Vigneshwarar and Sri Hanuman. a walk along Victoria street not far from this two temple is the St Joseph church with a Gothic design. built by the Portugese in the early 19th century. popular for the procession that happens here every Good Friday. even with that short walk, i was quite impressed with how the people would respect each others belief. this might be just one of the reason why Singapore continues to prosper. Note: to visit the three structures, you can ride a taxi from your hotel tell them to drop you at Waterloo street. 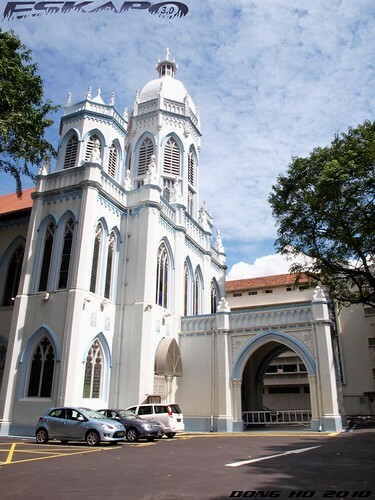 from here you'll see, the Chinese and the Hindu temple and a short walk along Victoria street will lead you to St Joseph church. same here, india is a fascinating place that i would really want to explore someday. love the pix. never got around to seeing that when i went for a visit; well it was short, that's probably why. wow!ganda ng mga kuha mo dong.wish i could go to Sg as well. I really admire Singapore so peaceful and progressive. Thank you DongHo for promoting Singapore. :) Your photos are very well taken. Singapore is so small, most of the places are accessible by MRT (Mass Rapid Transit) which is so much cheaper. 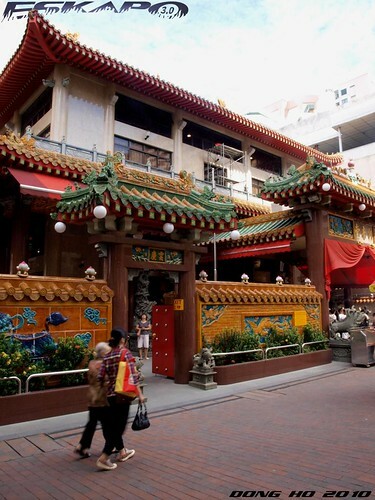 The nearest MRT Station to the temple is Bugis MRT Station which is about 20 minutes walk. I hope you went to the Bugis Shopping Street. It's quite interesting how three different religions peacefully co-exist in such a small country. On the other hand, I've read that the Jehova's Witnesses have been banned since 1972.
i love the colorful photos! i've never been to Singapore--i had plans a few years ago but it didn't push through. buti ka pa nakapag-sg na. btw, ganda ng colors ng olympus. pero nikonian pa rin ako in the future. hehe. i am fascinated too in anything asian, oriental; cultures are so diversed yet also distinct. so far we've appreciated bangkok, hk, and downsouth : brunei and nz. got to start saving for more asian trips perhaps next year? who knows?... nice series! The temple is so beautiful. Singapore really is worth visiting. Very nice sequence of images! U know Dong, I was about to fly to Singa (to work) but I decided not to go a week before my flite... 3 months latah I went here in UK. I thought Singapore was only high rise... nice pictures. never seen that side of singapore... cool! BTW..check out my dad's north american adventure! http://passionatestar92.blogspot.com/2010/02/photoblog-201004.html have a great day!!! That looks like a wonderful place. And a peaceful one. That was one wow after another for me. ganda ng pictures. very colorful. kakatuwa parang buhay na buhay eh. Thanks for sharing these to us, Dong. You are so great. 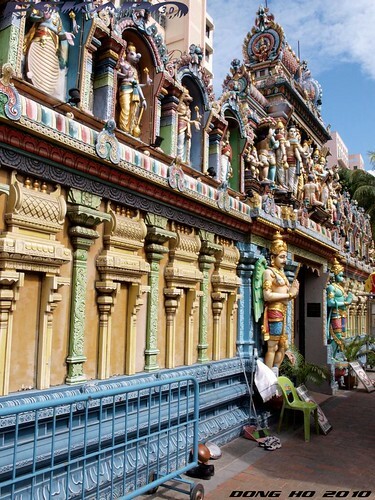 i saw this temple too when i visited singapore. it was indeed colorful. :) hope you had fun! little india ba yan? not familiar with SG. never been there..
Ganda at malinis nga. Marami pa dapat i-explore sa SIngapore. Swerte mo nakarating ka na dun. Going international na talaga ang photo-shoot mo! Nice take on the temples, by the way. dami ko na chance to visit and work in SG, di natuloy. me offer din sa husby ko to work there, siguro not our fate for SG to be our home.. alam ko maganda don talaga. nice capture! iba talaga pag pro-photographer. galing ng shots! familiar sight---except the pictures were more crisp. so these really bring back good memories of Singapore way back 2007. I'm glad you finally decided to visit this beautiful city state Dom. Such vibrant colors! It's quite amazing, huh, these structures of different religious groups. I was told that Singapore is like this huge salad bowl---so many different people, different cultures blending together harmoniously. I hope to go there one day.